Meet Molly Flaherty of M/Body | Rochester Young Professionals, Inc. 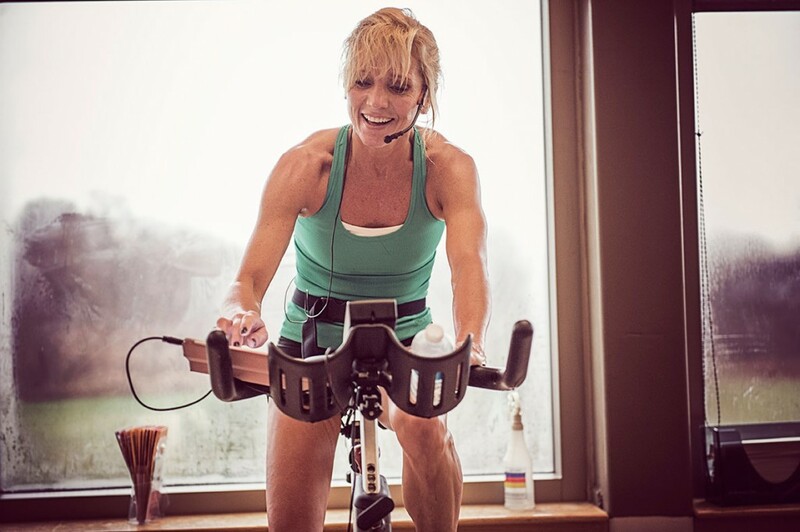 If you ever need to be inspired, to be reminded of your motivation, or just a friendly attitude adjustment, seek out the amazing Molly Flaherty, Found/Owner of M/Body fitness and wellness studio. This week we had the pleasure of speaking with her on owning a business, growing community and finding your balance in 2019. 1. First, for those who may not know you, tell us a little bit about yourself. I spent my early professional years in Chicago and Albuquerque in various Marketing/Advertising/PR jobs. (Fun fact: I was the youngest Publisher of a newspaper in New Mexico history when she named in 1994. Please don’t ask about how I both got demoted in my job but highlighted on the Late Show with Jay Leno with an ad I ran capitalizing on the Tonya Harding/Nancy Kerrigan scandal!) I moved back to Rochester, NY in 1995 working in Development/Special Events/PR for Camp Good Days and Special Times and School of the Holy Childhood before serving as VP of Marketing for her husband’s mortgage company. All these fun and diverse professional and personal experiences were a perfect lead-in to opening the doors of M/Body in April 2015. 2. How did the idea for M/Body come into being? Honestly, I just figured we had enough pretty places, BigBox and Pumping Iron joints around. I wanted a place I looked forward to walking into that would bring together the top fitness trainers/instructors in the ROC with the greatest clients that would welcome ALL! I wanted an inclusive and elite provider that would unite souls and build spirit and help people simply feel better. My go-to line is: I don’t care if you are one of the elite athletes we have trained or you haven’t ever stepped inside a gym. It doesn’t matter if you have this season’s monogrammed Lulus or crappy secondhand sneakers—everybody’s welcome. All that you need is the desire to take a chance, make a change, as we push you to your limits. 3. Why is Rochester the right place to grow your business? Because the pride and energy in Rochester right now—especially in the Neighborhood of the Arts—is on fire! Young professionals are proud of the incredibly welcoming, affordable and burgeoning cities that Rochester has become. I am FINALLY seeing an appreciation for the fact that this is a city of “grinders”…people that work and play hard and are going to do what it takes to vault Rochester into the next level of amazing city dwelling, living, working! 4. Where do you see your business, and our community, in the next 5 years? I see one or two more locations for M/Body. I see a community of ambassadors who will bring fitness to ALL seekers of the M/Body magic and I see a new generation of “Out of M/Body” outdoor experiences! Our downtown is going to keep broadening the horizons of its business and residential opportunities. And I see a heck of a lot more young people streaming into this incredible city. 5. What advice would you give to Young Professionals who want to focus on fitness in the new year? How can we balance work and wellness better? Here’s the reality…we often sacrifice ourselves and our own needs to get ahead and/or try to “have it all”. Often times, this manifests itself in us failing to take the necessary care of ourselves. But there’s a reason why when in an airplane, were are told to put on our own emergency oxygen mask first before we can then assist others. We are no good to anyone if we are struggling to assist others as we pass out. Trust me. We have been told in life that we can have everything, and I do believe this is true. But for those of us not born into royalty or the Kardashian family, before you are able to “have it all” you need to put in the work. It is what I have touted to my children from the second they came into this world. You were not born entitled to ANYTHING. And while you are putting in the work, you have to establish what you CAN’T have. Again, not a popular or fun thing to hear but absolutely relevant. My contention is that the first thing you have to establish is what is “everything” to you. Decide what that is and create 5 or 6 “everything balls” you are going to decide to juggle in your life on your journey to having it all. The book that I read that talked about these balls, the author determined that for her, work was her rubber ball. She was exhausted and was terrified one of her glass balls was going to drop and never be recovered. For her, her friends were that glass ball. So she was able to quit work, travel the world and ensure that she brought her friends to amazing places to feed her soul and give back to the people she valued the most right then. 6. Who is your local inspiration? There are WAY too many local business people who inspire me and have given me that “hand UP” to be able to list them all. So, I’ll instead say that every day I walk through the doors of M/Body I am inspired in countless different ways. Every day, without exception. My “DreamTeam” is comprised of the most giving, exceptional, talented and caring individuals I have ever come across. For most of them, this is a part-time gig. But you’d never know it from the way they pour themselves into making the days and lives better for each client that they serve and inspire. No one is in this business to get rich…it’s about feeding their souls by truly making others feel better. And no one does it better than my team! And there’s never a day I’m not inspired by the clients (aka “DreamCrew”) that walk through our doors every day. I’ve had amputees take boxing classes, breast cancer survivors doing barre classes as soon as possible after their mastectomies, Parkinson’s patients taking seated boxing classes while their caregiver hold up their elbows, people who are TERRIFIED to walk through the door of a new place to take a new class in front of new people…but they do it. And they do it with integrity, intensity, and passion. Oh, and they hold a hand out to the person next to them who may need a bit of help. I am the luckiest person in the world to get to do what I do and I never forget that or take it for granted. I owe EVERYTHING to the team, crew, and city who have supported me these past four years. Because it’s not just business to me…it’s completely personal. My family relies on this business…and they are obviously the world to me. That’s my inspiration and reward every single day!